the Special Teams Coordinator while also coaching the Safeties. He helped the Panthers go 4-3 in conference play, finishing in 2nd place in the SWAC. Scottsdale Community College in 2016 and coached the secondary before moving over to the Offensive Coordinator role in 2017. Littlejohn completed his 7th season with the New Mexico State football coaching staff in 2015. He was the assistant head coach and returned to the defensive side of the ball to coach cornerbacks for the 2015 season. Littlejohn jumped from defense to offense in 2010 and became the Aggies’ wide receivers coach and recruiting coordinator. 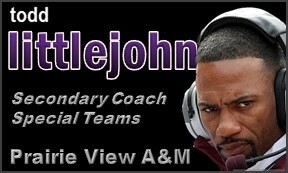 In his first season with the Aggies, Littlejohn coached the secondary and was recruiting coordinator. Littlejohn guided wide receiver Teldrick Morgan to Second Team All-Sun Belt honors and First Team honors on Phil Steele’s All-Sun Belt list in 2014. Morgan had 75 receptions for 903 yards and scored seven touchdowns. Littlejohn helped wide receiver Austin Franklin earn All-Independent Football team honors in 2013. Franklin was also on Belitnikoff Watch List to begin the season. Franklin led the Aggies in receptions, receiving yards and touchdowns in 2013 in only eight games. As a unit, the wide receiver corps caught 265 passes for 2,886 yards and 18 touchdowns. Five Aggie receivers averaged over 12 yards a reception in 2013. Littlejohn helped guide Franklin to a First Team all-WAC selection in 2012. Franklin finished the season with 74 receptions for 1,245 yards and nine touchdowns. He was also named a SI.com Honorable Mention All-American for his performance that season. As a unit, the wide receivers caught 155 passes for 2,375 yards and 15 touchdowns in 2012. Littlejohn helped the Aggie receiving corps catch 249 passes for 3,550 yards and 24 touchdowns in 2011. Wide receiver Taveon Rogers led the Aggies with 59 catches for 1,048 yards, averaging 17.8 yards per catch and nine touchdowns and was a Second Team All-WAC pick. Littlejohn and the NM State receivers helped the Aggie offense rank 26th in the nation in passing offense and 47th in total offense. Littlejohn guided the wide receiver corps to 185 catches for 2,009 yards and nine touchdowns in 2010. Marcus Allen led the receiving group with 42 catches for 598 yards and two touchdowns, while Todd Lee caught a team leading three touchdowns on the year. In 2009, Littlejohn helped guide defensive back Davon House to a First Team All-WAC selection. House tallied 68 tackles on the season, and made three interceptions. He broke the school record for interception return yards and scored two touchdowns on the season, one on an interception return and another on a fumble return. House ranked first in the conference and No. 11 in the nation in passes defended. The Aggies’ secondary tallied five of the team’s seven interceptions in 2009, as well as 36 pass break-ups on the year. 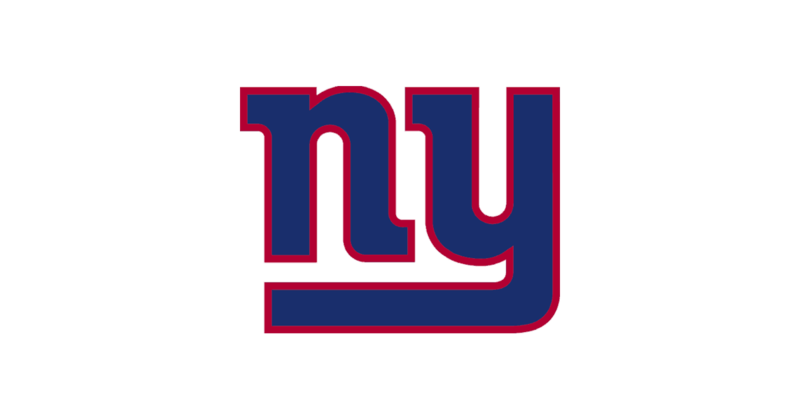 The secondary also ranked No. 36 in the country in pass defense. Prior to NM State, Littlejohn coached for the Cal Bears for two seasons (2006-07). During his time with the Bears, Littlejohn guided the team’s defensive backs to a national ranking of third in interceptions. He also coached the Pac-10 Defensive Player of the Year Daymeion Hughes, who ranked third in the nation with eight interceptions. Littlejohn joined the Syracuse coaching staff as the cornerbacks coach in 2003. During two years at Syracuse, he coached a pair of All-Big East defensive backs in Diamond Ferri and Anthony Smith. All four of the Orange’s starting defensive backs played in the NFL. Prior to his appointment at Syracuse, Littlejohn was an assistant coach in charge of defensive backs and special teams at UCLA for two years (2001-02). While on the staff at UCLA, Littlejohn tutored Ricky Manning, a three-time All-Pac 10 selection. During Littlejohn’s first season, the Bruins led the conference in total defense and pass efficiency defense and ranked second in scoring defense. Littlejohn also served as the defensive coordinator and director of player personnel for the San Jose SaberCats of the Arena Football League before coaching at UCLA. Littlejohn's coaching career began in 1989 at Porterville (Calif.) Junior College where he was a defensive backs coach. In 1990, he moved to Bakersfield (Calif.) College, where he was the mentor for the defensive backs for 1990 and 1991. After spending the 1992 and 1993 seasons instructing the defensive backs at Missouri Western State College, Littlejohn served as an assistant coach at Mount San Antonio (Calif.) College in 1994. Following two years in private business, he returned to the coaching ranks at DeAnza College (Calif.) in 1997, before joining the staff at Utah State, where he coached wide receivers and special teams from 1998 to 1999. Littlejohn spent the 2000 season as an assistant coach at San Jose State. He was responsible for leading the defensive backs and special teams. Under his direction, the Spartans led the WAC with 15 interceptions and the secondary ranked fourth in the WAC in pass efficiency. Littlejohn and his wife, Toi-Yan, have three daughters, Aundria, Aniya and Ahria. He also has an older daughter, Kayla. Received his bachelor's degree in sociology from Fresno State in 1989. Born April 9, 1965, Littlejohn and his wife, Toi-Yan, have three daughters, Aundria, Aniya and Ahria. He also has an older daughter, Kayla.